Of course, so much about nursing has changed over the years. Lin’s grandmother was a student nurse in the early 1900s, when students started the day by 5 a.m. to make the hot cereal they’d serve their patients for breakfast. 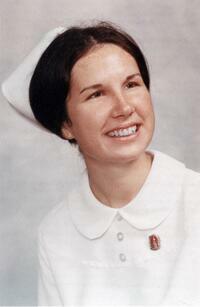 Lin began her own nursing career at a time when nurses still had to bobby-pin on starched white caps. With no computers for charting patient information and no disposable medical supplies, nurses charted and sharpened hypodermic needles by hand. They were also relied upon to give care now provided by respiratory therapists, occupational therapists and other allied health professionals. What is relatively unchanged is the nature of the calling that draws people to the profession. Lin grew up knowing she’d become either a nurse or a teacher. She has found great joy and success in fusing those roles. A Pennsylvania native, Lin became a nurse in 1972, graduating with a diploma in nursing and a bachelor’s degree in science. Over the years, her desire for education never dimmed. 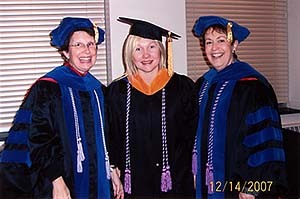 Lin went on to earn her BSN, MSN and PhD in nursing. To date, she has completed more than 100 continuing education courses. Lin’s original nursing passion is critical care. 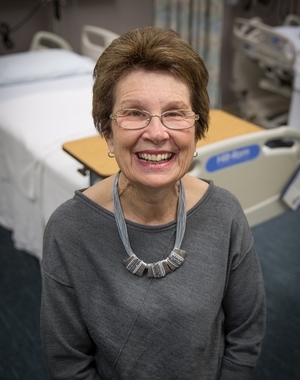 In 1990, the same year she joined NMC as an assistant professor of nursing, Lin joined the Methodist Hospital staff as a nurse on the Critical Care Unit. It was not until 2014 that Lin reluctantly gave up her part-time work there. She has kept her nursing skills finely honed by delivering and teaching The Meaning of Care. Before joining Methodist, Lin spent nearly the first half of her nursing career following her beloved husband, Denny, then an Air Force pilot, from one military assignment to another across the U.S. And, all the while, she has remained an active participant and leader for a multitude of professional nursing organizations, church and other community service groups. Their youngest grandchildren – triplets Caleb, Hannah and Logan – were born prematurely last year. Caleb and Hannah spent a couple of months in the NICU before being released to go home, which is in Alabama. Logan, who is still in the NICU, grows stronger each day and is now up to 5 pounds. Lin has big plans for April, when her retirement begins. Being Grandma is one of Lin’s favorite roles. 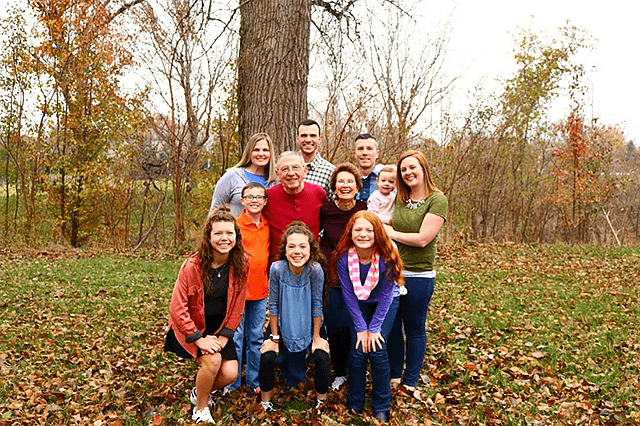 And for nearly three decades, Nebraska Methodist College and Methodist Health System have had the honor of her service in the many additional roles she does so well: Nurse. Teacher. Preceptor. Mentor. Leader. Advisor. Researcher. Author. Presenter. Educated Citizen. Visionary. Lin is always quick to deflect praise from herself, pointing with pride and thanks to those who came before her and to other members of the NMC team. But just try to count the NMC nursing programs, facilities and innovations that are missing Lin’s fingerprints or guidance. The list would be a short one. 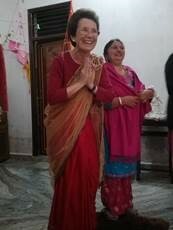 Lin has helped to shape everything from the design of the Nursing Arts Center to online education to DNP programs to global outreach that will improve nursing education and professionalism in India. And more. And always with a smile. NMC thanks and congratulates Linda Hughes, PhD, RN, CNE! Please join us for her retirement celebration on Friday, March 30, from 3-5 p.m. in Clark Dining. In lieu of gifts, Lin requests guests bring a non-perishable food item for the Food Bank. How has Dr. Lin Hughes inspired you or impacted your life? Share a favorite memory on NMC’s facebook page at NMCOmaha.